Bugger the Civic Cycle Loop. What we need is obviously a Hovenring! 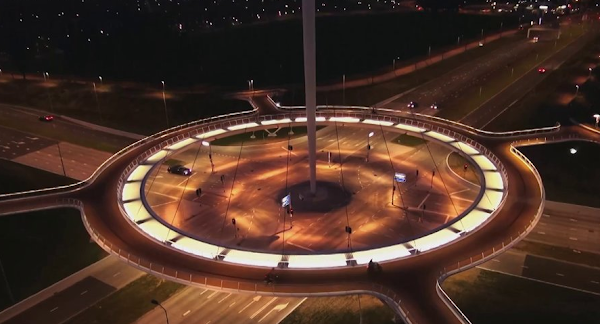 bird’s-eye view Hovenring Eindhoven (the Netherlands) designed by ipv Delft from ipv Delft on Vimeo. Gismodo have the details of more Dutch cycling genius. Rather the just cover an intersection I propose a mighty spire rising out of the Vernon circle suspending the overhead cycle loop. Come on Canberra, it’ll be our Harbour Bridge! Melbourne will be properly jealous! You could get a monorail running on that too it’s so big. And nary a rock to be seen. I think all Melbourne will see is another round-about. 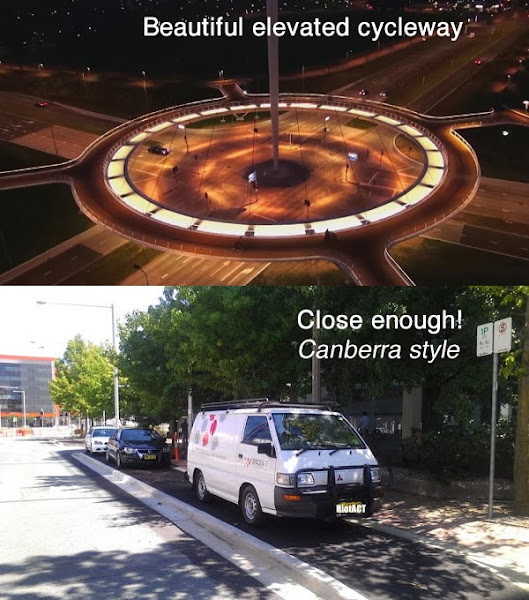 It’s a bridge too far for Canberra.